If you are looking for the perfect springtime accessory, this may be it! 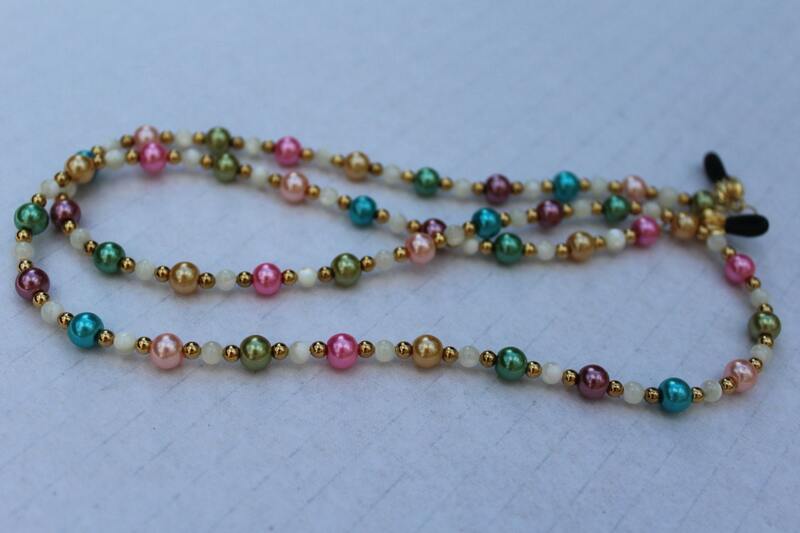 Soft pastel colors give this eyeglass chain such a pretty, feminine look. 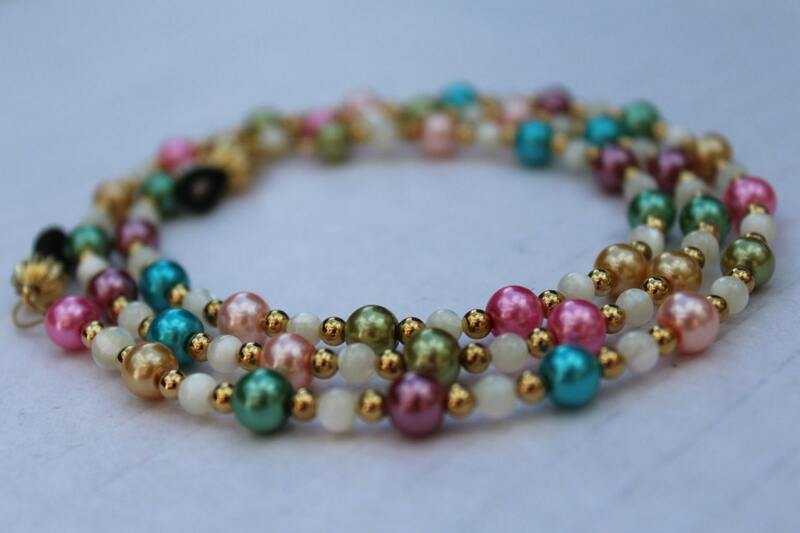 The pinks, greens, and blue beads are separated by small golden beads to give it a little richness and formality. 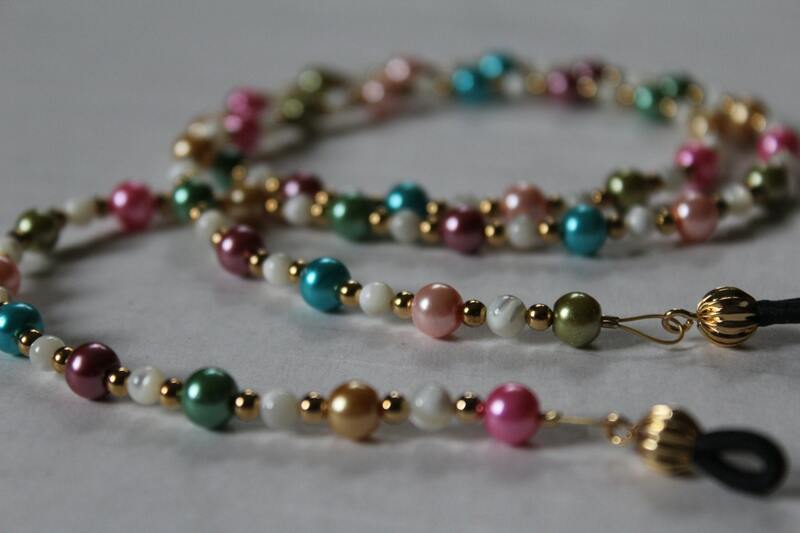 The colored beads used in this eyeglass chain are glass pearl beads, meaning that they are made of glass and then covered with a pearlescent coating. Measures approximately 29 inches long.